I'll admit that this time I judged the book by its cover. The Tinkerbelles' definitely have a knack for packaging. Apparently the cover folds out, MAD-magazine style. Excellent. That weird, subversive sensibility has made its way into the band's music as well. 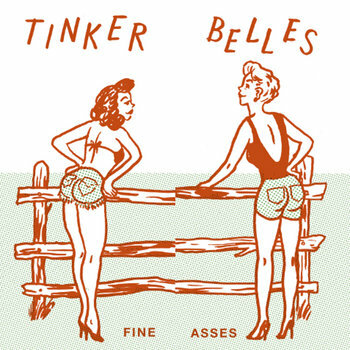 The Tinkerbelles combine surf rock hooks with sludgy punk rock and dance-y beats. It's a little too slick for garage rock but not pre-programmed enough to be dance music. It's a fun album for you to blast in your room/study/mancave while your family's over for Thanksgiving and you can pretend you're still a moody teenager.